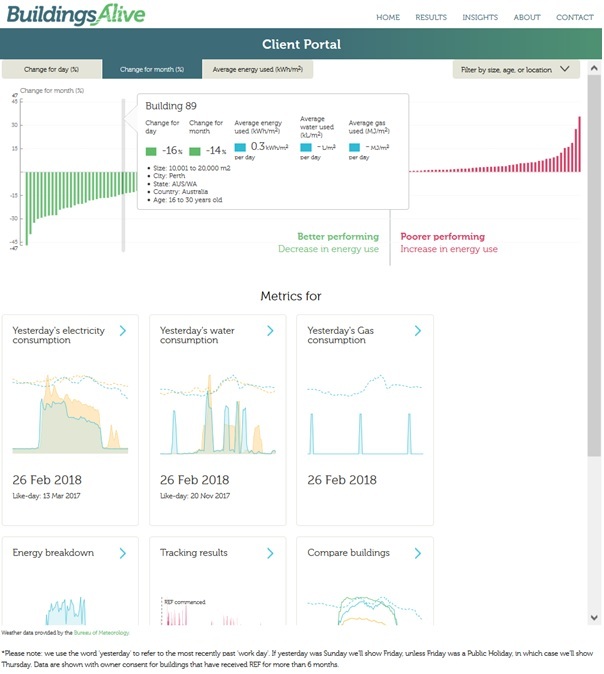 Our client portal enables dynamic evaluation of a building’s performance relative to others and exposes opportunities for improvement. Clients can gain deep insights into their buildings’ performance by comparing with buildings that have experienced the same weather conditions in other cities, in other climates, and with the same or similar characteristics. A context-sensitive, encrypted key is required to view the identities of individual buildings and these are issued daily as an embedded link with each REF message. The value of this aspect is growing as the community of buildings using the service grows.